The police watchdog warned that leaving the EU could lead to a rise in hate crimes. Here's why things would be even worse than they seem. 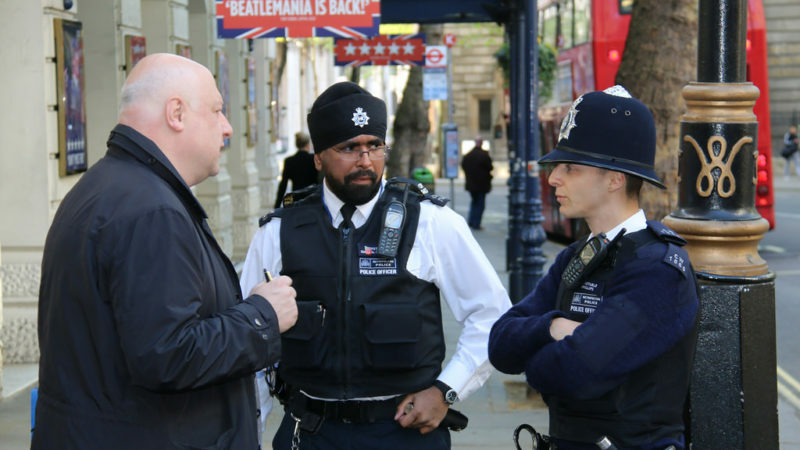 Her Majesty’s Inspectorate of Constabulary and Fire & Rescue Services (HMICFRS) published a report today pointing to a worrying spike in hate crimes over the last five years. Importantly the police watchdog pointed out how criminal offences targeting minorities has seen a clear rise during or after “national events” such as a terror attack, or a political campaign. The Inspectorate then advices police forces to prepare for this possibility, including better training of police officers to deal with the crisis and the correct flagging, assessment, and tackling of the reported hate crimes takes place. In the period between 2016 and 2017 alone, a total of 80,000 hate crimes were reported to police forces across England and Wales. The HMICFRS also warned that there is reason to believe that hate crimes are under-reported to the authorities. But if you thought these figures were disconcerting, they could well be just the tip of the iceberg in a situation that is spiralling out of the government’s control. According to anti-racist campaign HOPE Not Hate, 41% of Brits think that “multicultural society isn’t working”. And in 2016 the Bureau of Investigative journalism found that while hate crime is on the rise, the police are taking less action than before. Attempts to cut on government spending have hit the police authorities particularly hard. Home secretary turned Prime Minister, Theresa May, infamously angered police unions over cuts to the forces’ budgets. Another report published today was the Office of National Statistics (ONS) crime statistics, which revealed a rise in violent crime while the number of police officers hit a record low. “While the government continues to deny any link between the rise in serious crime and the cuts to police officer numbers, today we see what an appalling and traumatic impact Theresa May’s decisions have had on our society. The new Brexit Secretary, Dominic Raab, has a long track record of outrageous statements. But in his new role, the most damaging opinion held by Raab will be his thinly veiled xenophobia. The Windrush scandal, together with Amber Rudd’s open lies about targets on deportation figures, is certainly not appeasing anyone either. Labour MP David Lammy was targeted with scores of abusive hate mail following his valiant scrutiny of the government’s policies. So it turns out that the Conservatives haven’t just delivered a Brexit referendum that has ultimately no applicable solution without plunging the country into deep constitutional crisis. They have also aggravated hatred and division, and consequently violent and abominable crime. The solution to both problems, whichever way it heads, seems to go via an end of the Conservatives in power.